3,000 years after America is destroyed by nuclear war, the inhabitants have evolved, embracing magic and metaphysical warfare. As enemies from across the seas begin to close in, ancient legends come alive, leaving no one safe. The only two who can stop the onset of the darkest evil is the sorceress, Areenna, and Mikaal, the son of the High King of Neveah. With the safety of the world in their hands, and their powers young and erratic, will Mikaal and Areenna find the courage and strength to overcome the impossible? 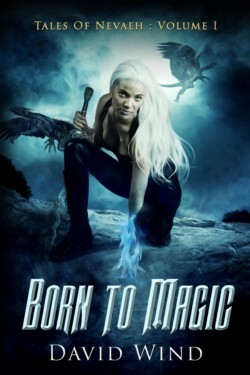 Born to Magic is the first book in the Tales of Nevaeh series. A mix between Shannara Chronicles by Terry Brooks and The Hundred Series by Kass Morgan, Born to Magic combines futuristic dystopian societies ruled by magic and metaphysical elements with science fiction. The inhabitants aren’t aware that looming just outside the atmosphere, orbits the key to their past.